Have you ever thought about taking time out to focus on a new career and lifestyle experience? Or would you like to make a more permanent move to Asia? We have a rare and exciting opportunity available for an Orthopaedic Hand Surgeon to join an established private hospital group in Ho Chi Minh city, Vietnam. 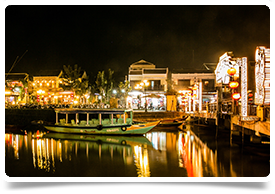 Expats are attracted to Vietnam by the good weather, low cost of living, lively culture and the steady improvements in Vietnam’s infrastructure - and this is the opportunity of a lifetime! Each day's activities are determined by the needs of the patients. The orthopedic surgeon's duty is to diagnose the patients' injuries or diseases through diagnostic imaging ( X-ray, CT, MRI) and to order blood tests when appropriate. The surgeon must be able to cast and splint limbs, recommend rehabilitative exercises and/or prescribe supplements and medications as indicated after assessment. If surgery is indicated then the Orthopedist may refer to the most suitable surgical unit. - Ability to read and interpret clinical data. - Excellent English language comprehension and communication skills. - Good computer skills and ability to work with Medical software. - Good patient and customer service skills.